​The Maldives has some incredible surf. Ranging from challenging barrels to mellow cruisey waves, there is something for everyone. The benefits of having your own private Maldives surf charter is that you can chase the waves that you want to surf, and get to do so without the instant crowd factor of a surfari boat. 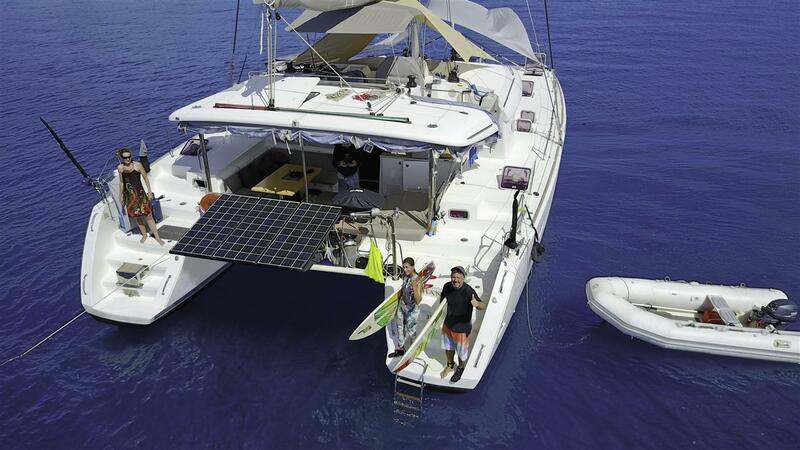 ​Surf trips aboard Shantaram are not only about the surf. We sail along at 6 knots on average, so enjoy the leisurely cruise from break to break, throw a line in the water and maybe hook up lunch or dinner. Stop along the way to snorkel the reef's and explore the deserted islands. Have a partner or kids that are learning to surf? We have some spots which are absolutely perfect for those just starting out. ​Sail Shantaram's skipper is a keen surfer and will be able to get you to the rights spots for you in the current swell and wind conditions. The advantage of our Maldives surf charters being flexible is that you can dodge the crowds and hopefully find waves to yourselves. 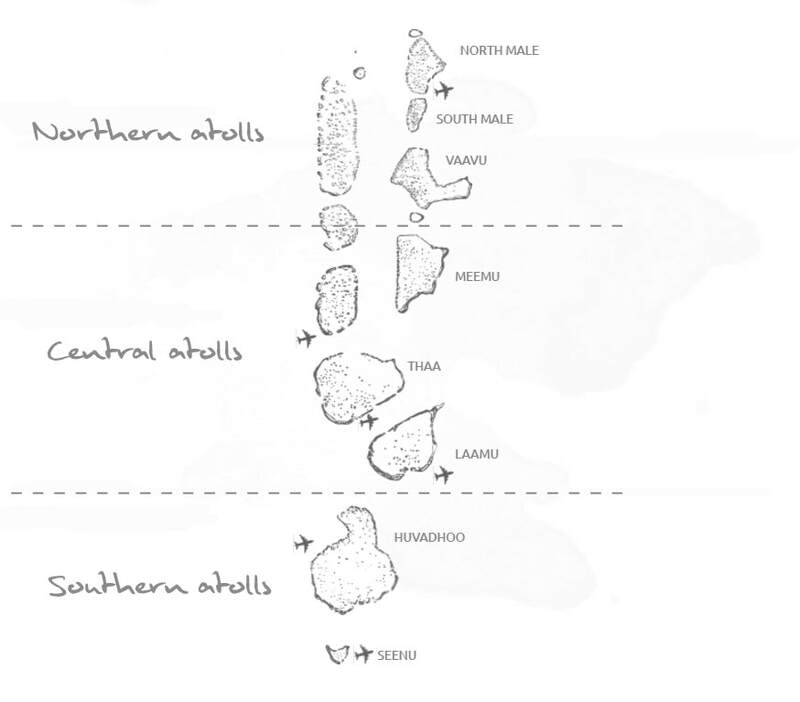 Go surf hunting throughout the atolls. Don't get stuck having to do the typical A-B surf charter route. Fly in and out of any airport throughout the country if you prefer, so if you have limited time the yacht can sail to meet you in the area you'd like to surf. Have a favourite spot? Surf it for your whole trip if you'd like. Or try out a new spot every day. The choice is yours. Neptune is an unpredictable guy, so to try ensure you hook at least one solid swell during your Maldives surf charter it is recommended that you consider at least a 10 day trip. Below are some suggested package options, but we are able to customize a surf charter exactly to your needs. Please email us for details. 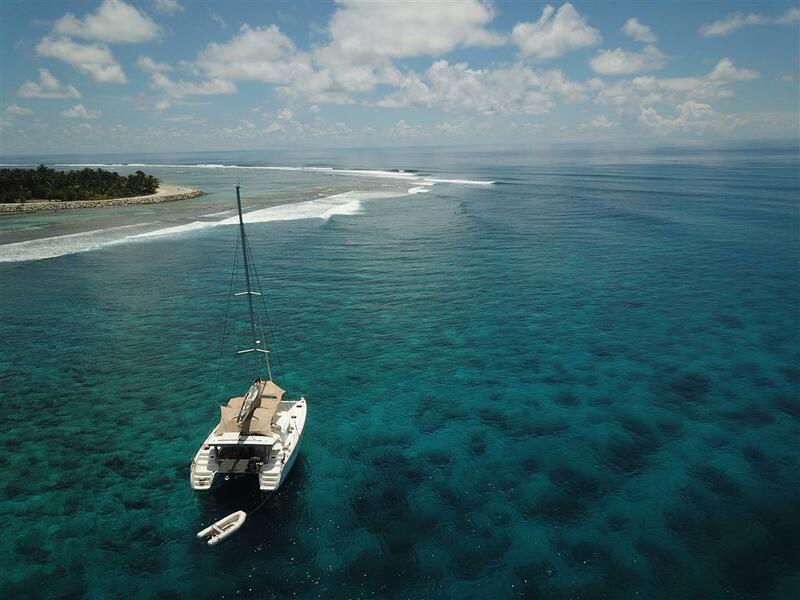 Sail and surf the popular North & South Male atolls, including Meemu in the Central atolls. Start and finish in Male. This area is covered in Sail Shantaram's daily rates, and no fuel surcharge is incurred. If you are time limited, and only have a week to surf, then we recommend you stick to the North/South Male atolls to maximize surf time. 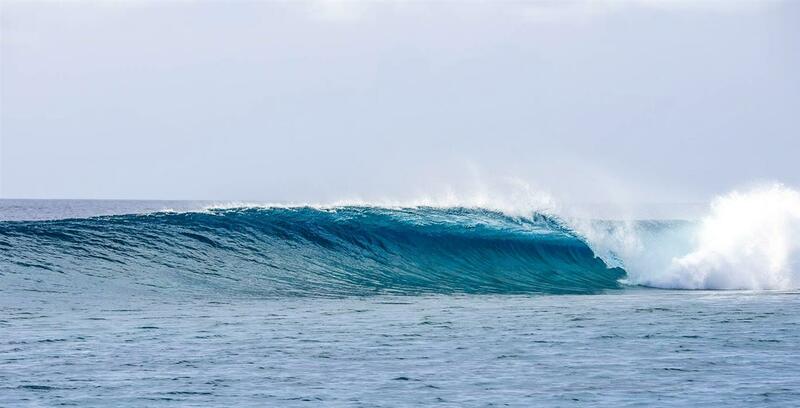 If you have 8-10 days free, then your Maldives surf charter can head down to Meemu as well. ​Sailing further south to the less crowded Central Atoll region of Dhaalu, Thaa and Laamu atolls is possible, but due to the distances that need to be covered you would need to allow for at least a 12 day trip in order to sail from, and return to, Male. There are some hidden gems in the Central atolls. 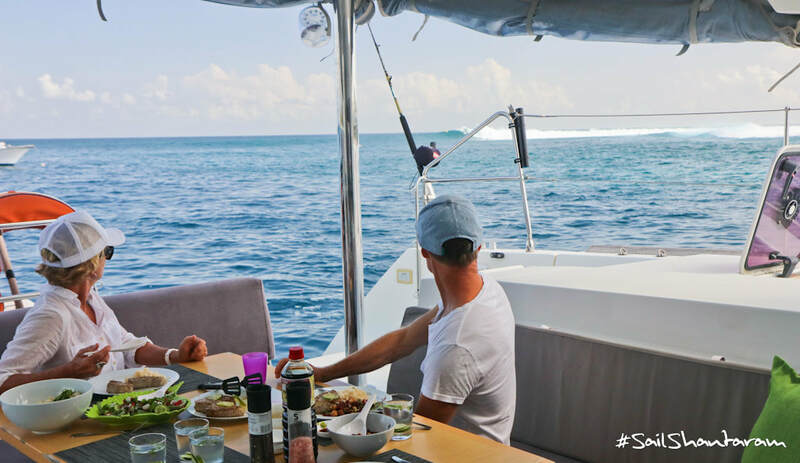 If you are keen to access the Central Atoll surf zone consider our Sail/Fly and Explorer packages, which entail less travel time and more surf time. Want to mix it up? You can choose to fly out from Male to one of the domestic airports of the central/southern atolls to meet the yacht and then sail back to Male, surfing a wide array of spots en route. Similarly, you can choose to sail from Male southwards, and then fly back from the nearest domestic airport at the end of your trip. Thus your trip will either start or end in Male. We recommend 8-10 days or more for this option. Domestic airfares are approx $200 return. The Surf/Fly package allows you access to the less crowded wave zones. ​Contact us for pricing options. Surf anywhere in the Maldives. Totally flexibility to chase the waves. Don't waste time cruising to the right zones. The skipper will liaise with you ahead of time to discuss where the surf will be best, then fly in to the closest domestic airport to meet the yacht. Cruise aboard Shantaram following the swell, and at the end of your trip fly out from wherever the nearest domestic airport is back to Male for your international flight. Having no fixed start and end points to the trip ensures you can be in the right place at the right time. 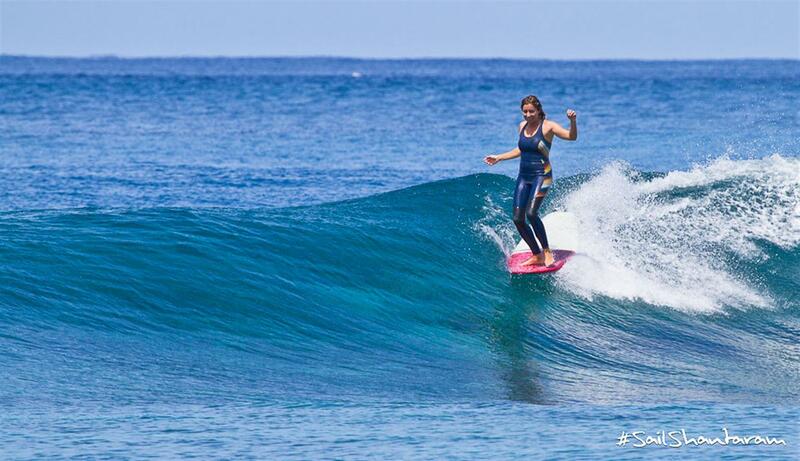 - and also means even if you only have a week off to surf, no problem - you can still access these less crowded zones. Contact us for pricing options. 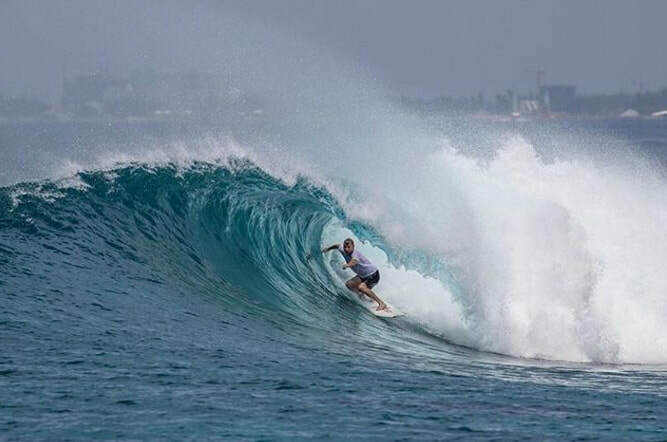 Peak season for Maldives surf is during the SW monsoon, which is May through to September. Consistent groundswells pass South Africa and spin up into the Indian Ocean creating a regular supply of long period S and SW swell. There is also consistent SE swell during the same period, which despite being smaller period swell still lights up the whole eastern seaboard of the archipelago. You'd be amazed at what a 10 second swell looks like when it lurches out of the depths of the Indian Ocean! If you're after bigger surf your best bet is June/July/August, although solid swells can still strike anytime between April to October. This is peak surf season for the Maldives so expect to see other surfari boats about - although having a totally flexible itinerary helps Shantaram dodge the crowds. We prefer to sail & surf the less frequented atolls. Your Maldives boat trip can be as off the grid as you like. Weather-wise, remember it is monsoon season - so there can be periods of unsettled weather with a bit of wind and rain. The shoulder seasons of April/May and September/October can also have good waves but the average swell is medium sized, although you can still get some solid days. November through to March see's smaller SE swells predominate the Northern and Central atolls, with only infrequent SW ground swell. A good time of year if you're after chest high surf that is almost always uncrowded. Just note that it can however be less consistent, so expect a few lay days chilling on the beach or sailing leisurely between islands. The weather is generally great, so is the ideal time to bring partners or the kids. Sail Shantaram is also able to offer Maldives surf charters to the Southern Atolls, south of the equator. This area gets consistent swell throughout the year, although can sometimes suffer from unfavourable winds during the peak monsoon season. Best times for a Maldives boat trip to the Southern atolls are ​late February-April and late August-October.